JOIN A UNIQUE CYCLING HOLIDAY IN EUROPE AND CYCLE ACROSS HANNIBAL’S LEGENDARY MARCHING GROUND, AND EXPERIENCE SOME OF THE MOST INCREDIBLE EUROPEAN VISTAS, INCLUDING CATALONIA, PROVENCE, THE ALPS AND THE APENNINES, ACROSS WHICH HIS ELEPHANTS WERE LED IN 218 BC. Tracing Hannibal’s notorious trail and tracking his advance on Rome, this is more than just your average cycling holiday in Europe! A unique and historical journey dropping you directly into the heart of this historically renowned route, you will experience hauntingly beautiful landscapes on two wheels. Unlike Hannibal, you will not have a herd of elephants in tow as you forge your journey. Instead, you will be accompanied by fellow enthusiasts and a team of professional tour guides as you cycle this incredible trail together. Stretching from Barcelona to Rome, you can opt to explore the stunning route in its entirety, or simply select the individual stages you wish to cycle. More than taking in the views, this cycling experience allows you to discover the soul of the places you are riding through. Riders have a unique vantage point, and gain cultural insight into the incredible destinations both historically and gastronomically. Uncover the history you are riding through, sample the culinary delights and enjoy the local wines, as you follow in the general’s legendary footsteps. It is possible to bring along your old faithful bike for the ride, but if this is not possible, there is a range of bikes you can hire that are of the highest quality for €30/day. Lynskey and Specialized Performance bikes are the top line bikes on offer, built for fast, long distance riding. You are also able to hire the Lynskey Sportive 2014, Specialized Roubaix Comp 2014, Specialized Ruby Elite or Specialized Sirrus. Bikes are fit according to your height and bike inseam. Love the alps & want to base yourself there? 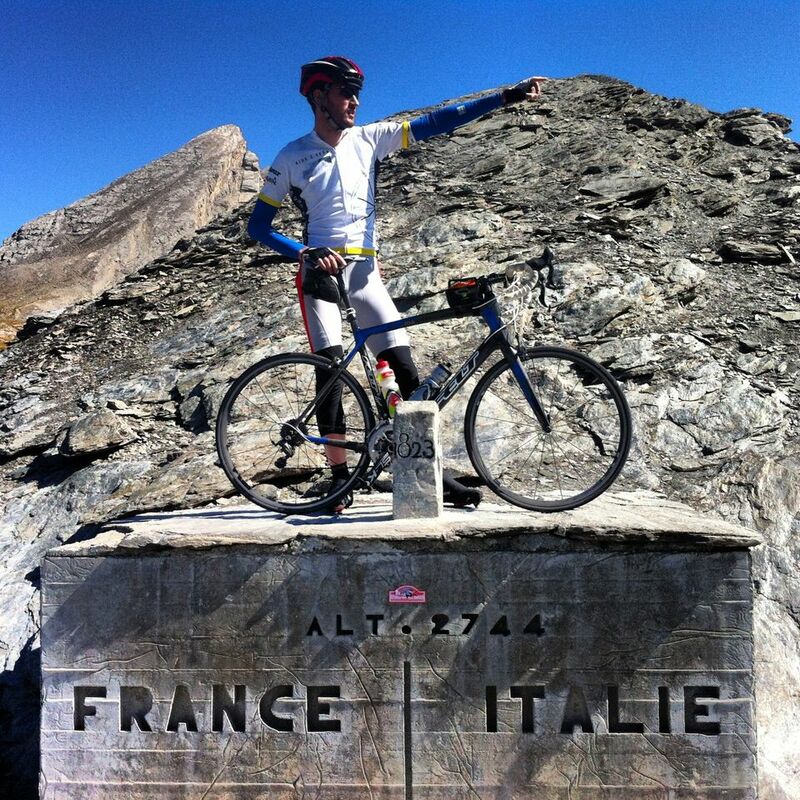 Our French Alps Cycling Experience would be perfect for you!